Is Android Pie (EMUI 9.0) coming out for Huawei devices like my Huawei P20 or are our devices going to stay on EMUI 8.1 (Android 8.1)? Are there specific devices that are going to get it or are all of them going to get it? Is this going to include the P20 series in the UK? How can we apply to the beta? Emui9? I still haven't got 8 on my p10 yet has it rolled out in the UK yet? if you want apply,there is all the step's! The P20Pro is not available there. don't worry the p20 series ia gonna receive android pie in october or november,now you can't apply for the betta cos maybe they have enough people who apply for this! Actually they only looked for about 100 users in Germany. From my point of view this is no public beta. Not a chance, maybe before the mate 30 or 40 IF we are lucky and get it at all which I highly doubt. So anyone with mate 10 Pro won't get it until mate p20 Pro come out is that correct? i check everywhere,but is no date wich confirm when Pie come out on Mate 10 Pro,some website write that Pie come out after 16 october,when Mate 20 will be presented in London,same website write ,Pie come before.we do not guess, we just have to wait! Over 2 weeks, still nothing. Such a shame, I was expecting more from Huawei. i see,my next phone is gonna be android one. Still we wait for EMUI 9 , my P9 is still on 5.0.1and hasn't even moved, so I don't hold much hope for my Mate 10 pro at this rate. When arrives EMUI 9 (Android Pie)? 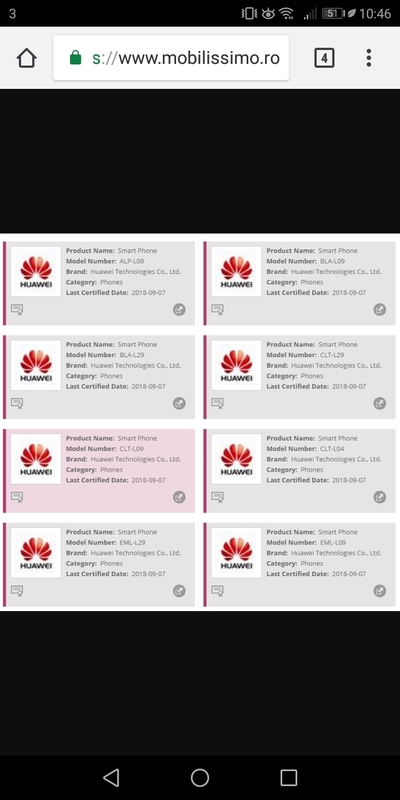 I find this Huawei forum fantastic, not a single word about the update to pie...at least they could give us a date...or we are not receiving the update at all, as usually is the Huawei way regarding updates.